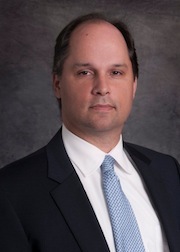 Garrett W. Browne has been with Ed Fox & Associates, Ltd. since the firm's inception in 1999. While attending law school in New York City, Garrett concentrated his academic studies in labor and employment law while working as an intern for the U.S. Department of Labor, and law clerk for the Mayor's Office of Labor Relations for the City of New York. After graduating from law school, Garrett moved to Chicago to pursue his interest in litigating the claims of individuals who have had their dignity and basic rights violated by government, law enforcement, employers, and nursing homes. While Garrett has a tremendous amount of trial experience in federal and state court, perhaps his biggest asset to his clients is the personal interest he takes in each of their cases. Garrett truly enjoys helping his clients and has achieved a number of outstanding results on their behalf. Among these results is a recent $950,000 settlement he helped obtain on behalf of the family of a 100-year-old woman who suffered multiple amputations as a result of infected pressure sores that developed while under the care of a nursing home that neglected her. Garrett has represented hundreds of clients who have had their civil rights violated by federal, state, county, and local law enforcement. He has vigorously pursued a large variety of police misconduct claims that include wrongful detention, warrantless searches, false arrest, excessive force, malicious prosecution, and wrongful death. Garrett was trial counsel for a 10-year-old boy who suffered multiple fractures as a result of misconduct by a police officer, and obtained a jury verdict of $600,000. Additionally, Garrett recently helped obtain a settlement of $370,000 on behalf of a young man that was coerced to confess to a murder he did not commit. Of the many wrongfully terminated clients Garrett has represented, one case in particular was gratifying not just because a jury ultimately awarded the client 100% of what Garrett requested on his behalf, but because of who the client was. He was a mentally challenged man who had compiled a spotless record over several years of loyal employment, but nevertheless was fired because of his disability. In addition to representing dozens of employees who have been discriminated against because of their disability, race, gender, or age, Garrett has also successfully represented people who have been terminated because they filed workers compensation claims, and public sector employees who have been terminated in violation of their due process rights. Garrett understands it is important to the client not only to achieve a favorable outcome, but to be accessible and keep them informed. As a result, Garrett has created a large group of very loyal current and former clients.